Not every novel is going to work, no matter how much we might love the idea. Some ideas don't have enough conflict to maintain 400+ pages of story, others sound great until we get in there and start writing them, and some just need more skill or focus than we're able to give them at that time. At some point in your writing life, you'll have a moment when you wonder if it's time to move on from a great idea to something else. You’ll doubt the novel is any good, and writing it probably isn’t any fun anymore. You might even be stuck, struggling with every word and unsure what to do with the mess you’ve created. I’ve written seriously for twenty-five years, and I've had three manuscripts that made me want to throw in the towel—one I went back to and finished, one I'm still considering how I can make it work, and one I know I’m never going back to. 1. It’s no fun to write anymore. Like all jobs, writing has its ups and downs, but it ought to be enjoyable most of the time. If you’re dreading going to the keyboard every day, that’s a pretty good indication something is wrong with this manuscript. Should you give up? Probably. At the very least, set it aside for a while until you have an urge to work on it again. 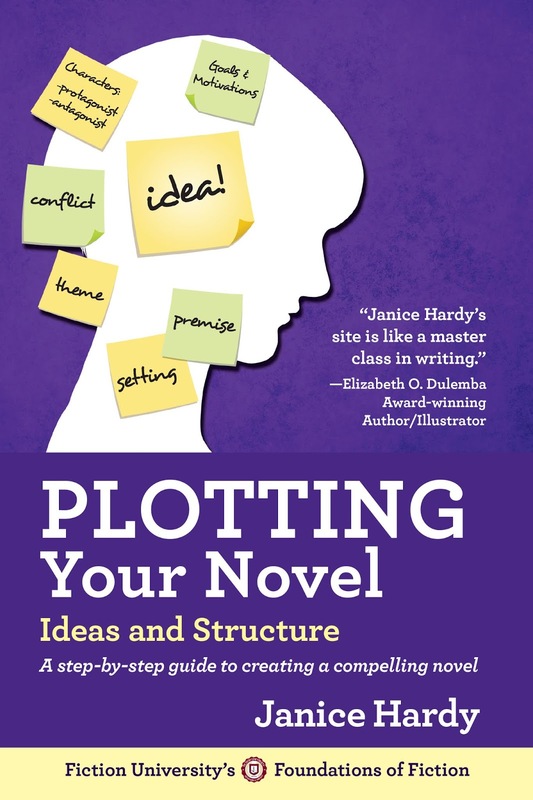 It’s possible you’re just burned out on that story and need a break, or there’s something else going on that’s keeping you from writing this novel. 2. No matter what you do, you can’t make it work like you want to. Sometimes you have a fantastic idea but it just doesn’t turn out like you want it to. You have a vision of what you want, but what’s in your head is not making it to the page. It might not be a bad book, but it’s lacking and you’re not sure why, and any feedback you get doesn’t help. You know what’s wrong, you just can’t fix it. Should you give up? For now, yes. There’s a good chance the manuscript requires skills you haven’t developed or need to further develop. If you can see the weak area, spend some time studying that skill, or practicing it on a throwaway manuscript or through writing prompts. Reading novels that use that skill particularly well can also help, as you’ll have a better sense of what to aim for. The thought of spending another minute on the manuscript makes you ill. You don’t like the story, the characters, the setting, and what was once exciting is boring and flat. You hate everything you’ve written and being in the same room with it makes you doubt your skills as a writer. It’s not uncommon for writers to hate what they’re working on during the writing process, so worry only if that hate goes beyond the normal “I’m so sick of this book” moments. Should you give up? Yes. There’s no need to spend time with a manuscript you can’t stand. Move on and don’t let it bother you again. 4.You know deep down it’s not original enough to sell. This one’s a hard, because you may really like the story and book, but you know it’s not gong to go anywhere. It’s a premise you’ve read or seen in a lot of other books, TV shows, or movies, and it brings nothing new to the idea. Should you give up? Probably. While a “well-loved idea” can sell in the right circumstances (later book of an established author, for example), odds are it won’t stand out enough to be successful. But if you love the idea and you’re willing to give it a shot despite the odds, go for it. 5.You know deep down it’s not good enough to sell. Sometimes you write a book and you know it has promise, but it’s just not breakout material. It’s not a bad book, but there’s nothing in it to spark excitement or really hook a reader (or agent). If you’ve been submitting it, you might be getting a lot of “I just didn’t connect with the [story-characters-setting-idea]. Try me with your next one.”] type rejections. Should you give up? Probably, but there’s hope. If the book just isn’t a standout book, then the odds are against you, but if your skills just need a little more development, then you might be able to salvage this later. The hardest things about this manuscript, is being objective enough to see it as it truly is. 6. You’re not really sure what the story is about. This happens with exciting first drafts that keep stalling, or keep growing. Either you don;t know what to do next or where it’s going, or the direction keeps changing and you keep writing off on tangents until the book is a mess. Should you give up? No. Odds are you have a good idea, but you haven’t yet found what the story is about, so you’re floundering. Once you figure out the best way to write this idea, the book will be easier to write and start coming together. However, it’s possible you might need to set it aside while you figure it all out. With my three “abandoned” novels—one I let sit for eight years until I’d developed more as a character writer (I’ve always been stronger with plot). I pulled it out again in December and just finished rewriting it—and I’m thrilled with the results. The second will likely languish forever, even though I like the idea and would love to do something with it one day. I know it’s not original enough or good enough, and there are so many other ideas I’d rather do first (but I still think about it from time to time). The third I know is a waste of time and won’t ever be anything anyone wants to read. Some manuscripts aren’t ready to be written, while others never wanted to be written in the first place. The trick is knowing which is which before you drive yourself crazy trying to make them work. Have you ever wanted to give up on a manuscript? What happened? Thanks for confirming some of my manuscripts for me. I hope in a good or helpful way! I shelved my previous finished novel because, frankly, it was an unpublishable hot mess. (Problem #6) I'm a character first writer, and I had these intriguing people doing a lot of stuff, but no central plot. I will go back to it, because I see the potential, but not now. When I started this current project, I forced myself to outline and plan using your guidelines. I think I'm frustrated because I don't have that giddy flow of words as in the previous book. But, I won't have to eliminate, say, 100k words. And it won't need massive reconstruction. Thanks for providing a safe haven for writers to learn, commiserate, rejoice and be inspired. Most welcome. If a full outline isn't quite working for you, try doing fewer points and giving yourself more room to "breathe" so to speak. There's a happy medium between structure and giddy flow for you somewhere. Thanks for this post, Janice. Links are also helpful. Still plugging away because I still love it, believe in it, and people say WOW when they hear the premise. At the tweaking stage! Best of luck top you! I just finished one of those and a beta reader told me last night it was her favorite of all my books (yay!). So there's hope for those older projects. Another timely post. I still love my current (and first) WIP but sometimes I suspect I just don't have the skills to do it justice. However, reading #2 confirms that persisting will improve my skills; that I should continue until I can't see how to improve it and then put it aside. Grats! Hey, seeing the problem is often harder than fixing it. so kudos! Sending good revising vibes your way.